Applicants for Work Passes or for renewal of Work Passes are required to undergo a medical examination, which includes a general physical medical examination, a chest x-ray for Tuberculosis and a test for the AIDS-causing Human Immunodeficiency Virus (HIV), Syphilis (VDRL) and Malaria plus pregnancy test in the case of female workers. The Foreign Worker (FW) has to undergo and pass a medical examination by a Singapore registered doctor within 14 days of arrival (including Sunday/Public Holidays) in Singapore. The Work Permit will only be issued if the Foreign Worker passes the medical examination. 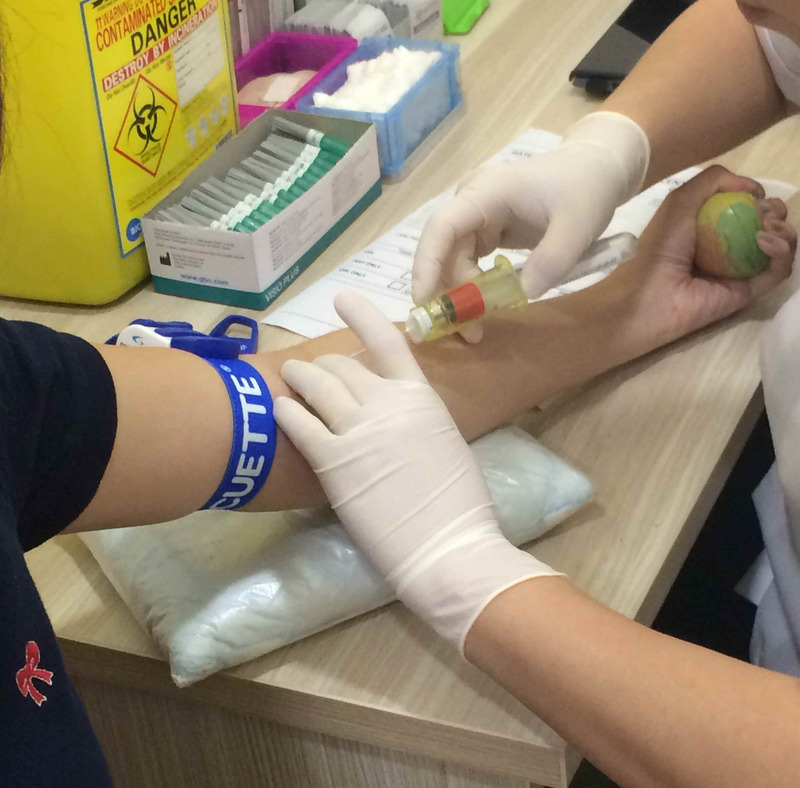 Foreign Workers who are unable to pass the medical examination, will have to be repatriated. The medicals also serves to check that the Foreign Worker is generally fit to work at the point of exam. However, even if the Foreign Worker passes the medical examination, it does not mean that he/she is free from all illnesses. Employers with specific concerns may wish to send the Foreign Workers for other tests as they deem appropriate. The medical or lab test will be done in accordance with the prescribed requirements as stated in the pre-printed mom medical form or MOM IPA Letter. The fee payable is a package including where applicable the X-ray or Blood Tests or both. The fee for non urgent full normal Medical is S$50 in cash payment for Work Passes For extremely Urgent same day medical report we can only accept appointments during weekdays between 0800-0830 am for the report to be ready by about 3-5pm on same day and the cost is $80-$100. The whole process takes 15 minutes to 30 minutes. 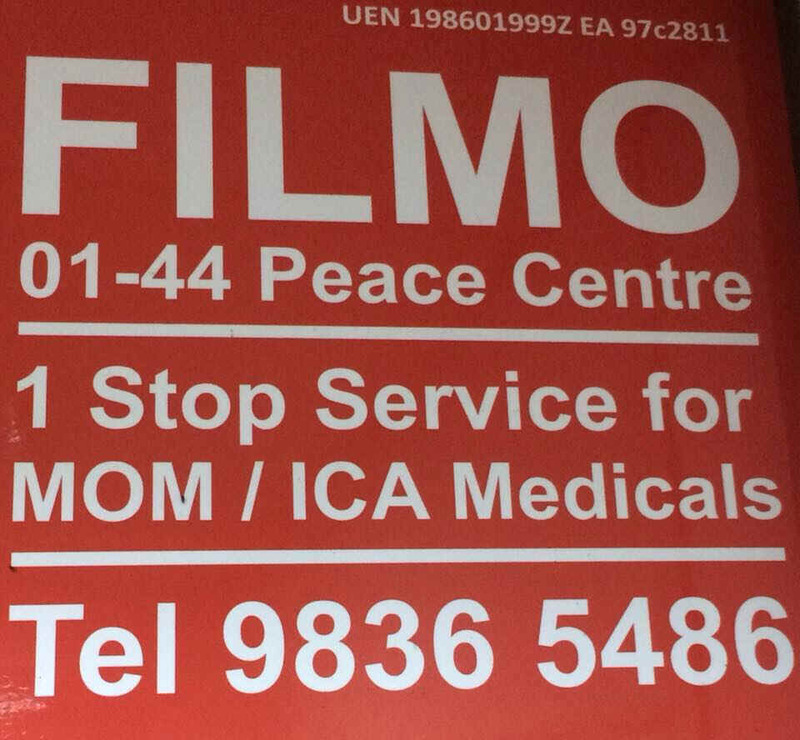 A single official Receipt for cash payment made will be issued by FILMO only. As Urine sample will usually be required for female WP holders it is advisable to drink lots of water before coming. For ECG Extra $35 for those WP holders over 50. Additional charge of $40 For Hepa A, $30 for Hepa B & $60 for Hepa C tests if required.